NOW- 2002 In our home in Austin, only 50 years later! My goal in this section is to show what 50 years can do with regard to technology advances. 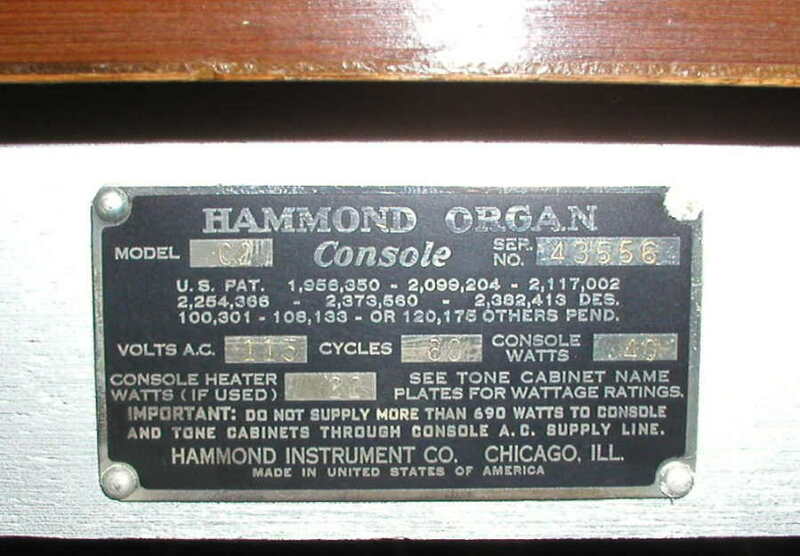 In the first photo above, taken in 1952, we had just purchased this fabulous Hammond church organ Model C2, Serial No 43556. It was an electronic marvel and the tones were so beautiful. 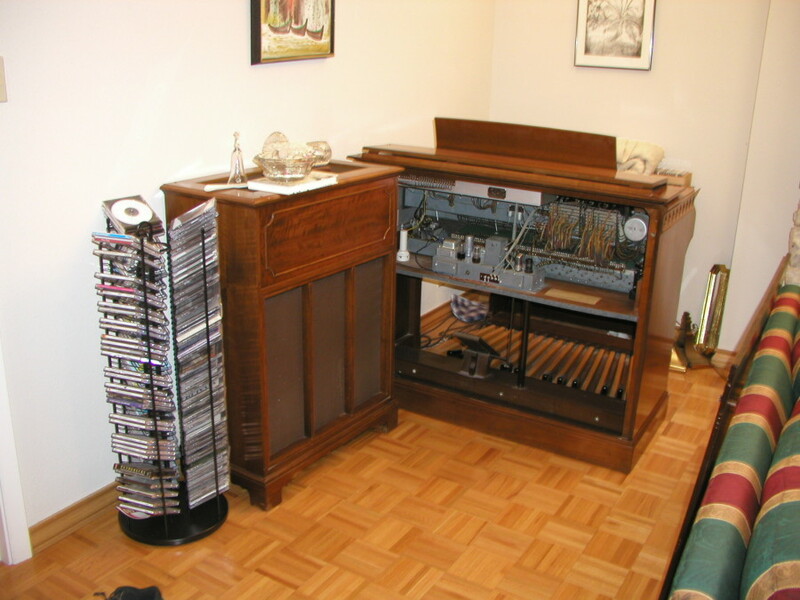 Even though we did not have a Leslie speaker at the time since it was not on the market, we were amazed at the beautiful response. 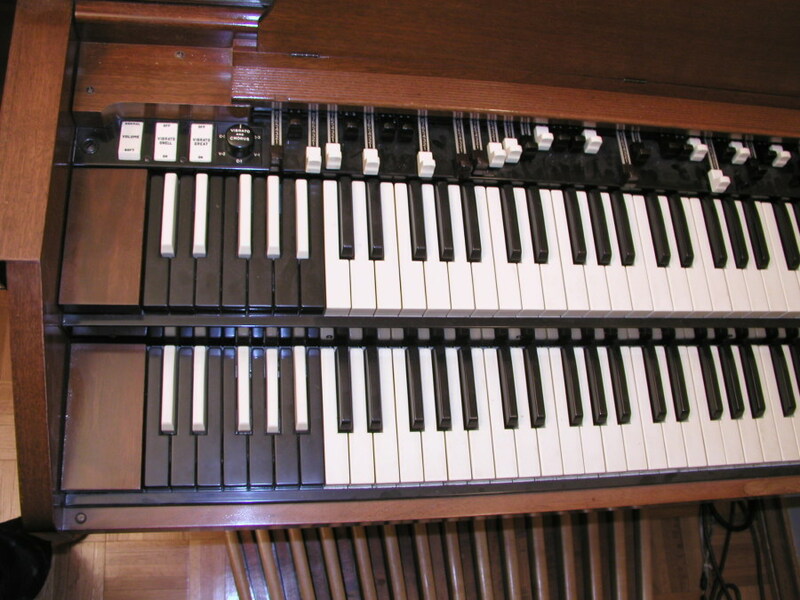 I immediately took to this organ and learned how to use the foot pedals. Over the coming years, this organ was moved all over Pampa as I played for the Lion's Club, the Minstils, my assembly in Junior high school, etc. At that time, little did I know that a gentleman named, Ikutaro Kakehashi would cross my path some 50 years later and the connection?... 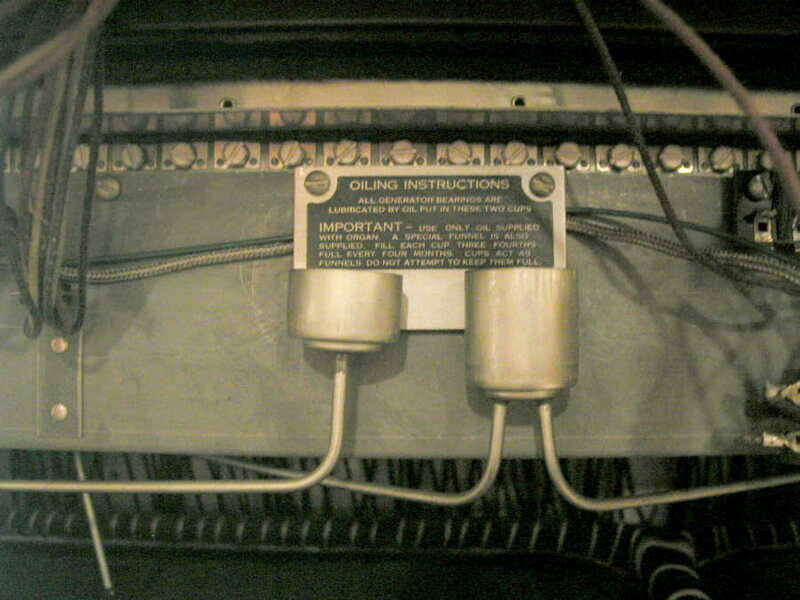 He was involved in the electronic tone generator and the Hammond Company way back there in time! 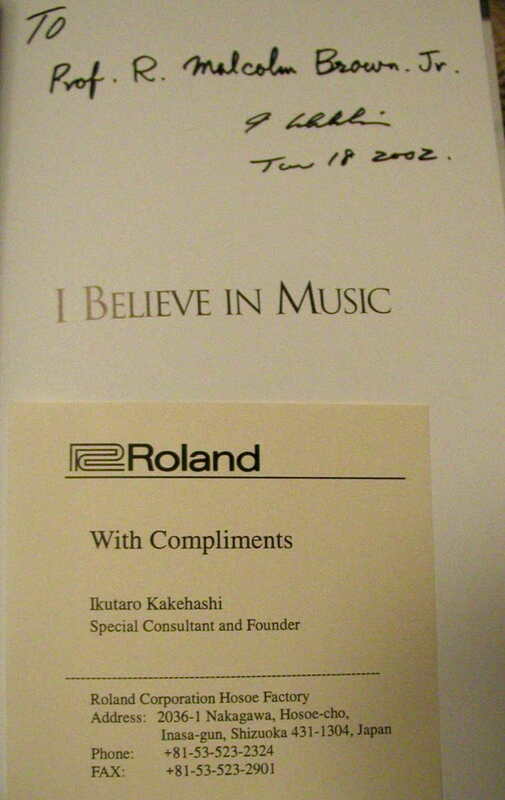 Of course, Mr. Kakehashi went on to start his own company in Japan, Ace Electronics, then later decided to sell his part and in the 'lean years' started the Roland Company which is now the most famous and advanced company devoted to electronic musical instruments. 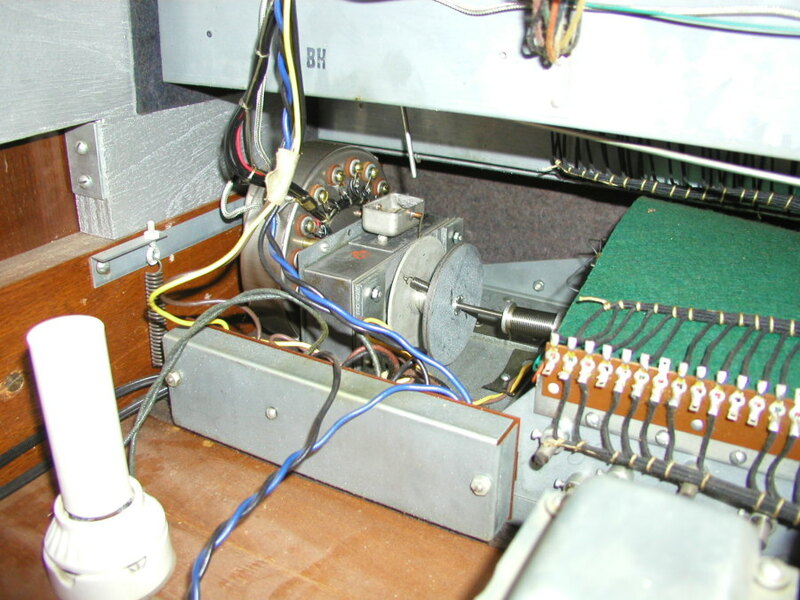 Take a look at the insides of my Hammond. 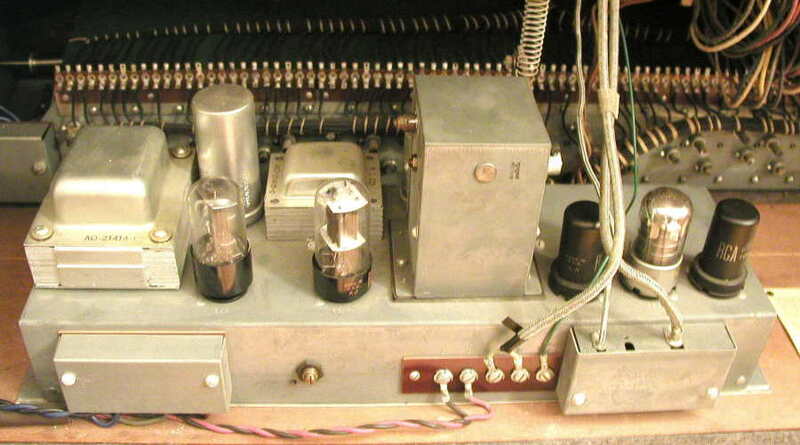 Note the tone wheel and the vacuum tubes in the electronics. Note in 3187a that the organ was 'oiled' in 1952, proof that we had it in our home at the time. 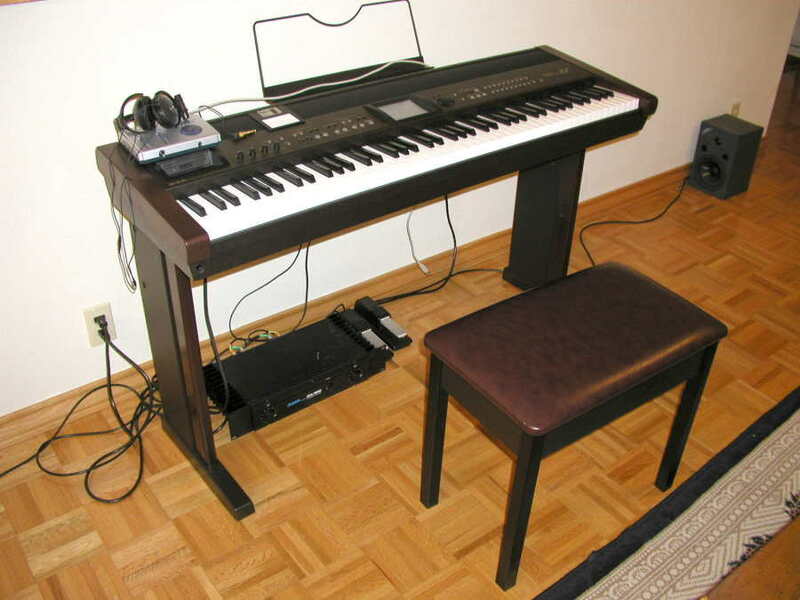 Take a look at the keyboard and drawbars and the foot petals. 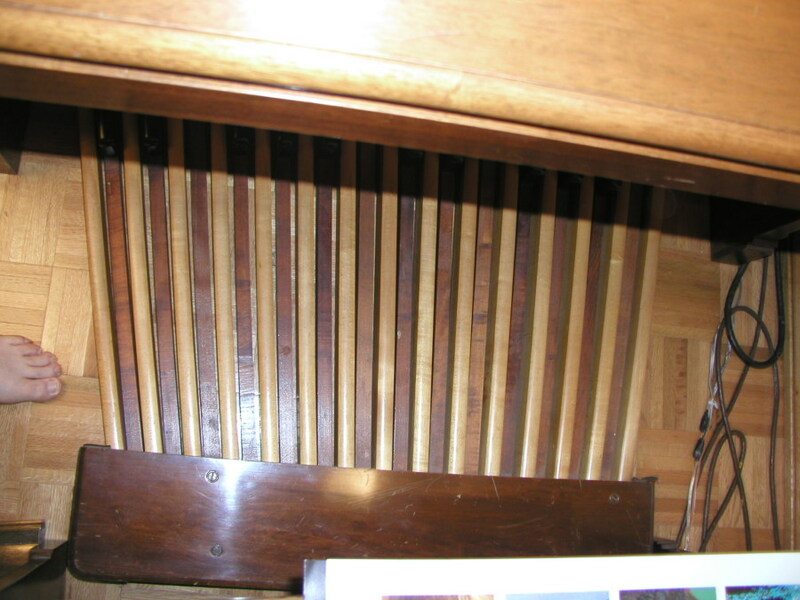 The amplifier is in the beautiful cherry wood furniture next to the organ. 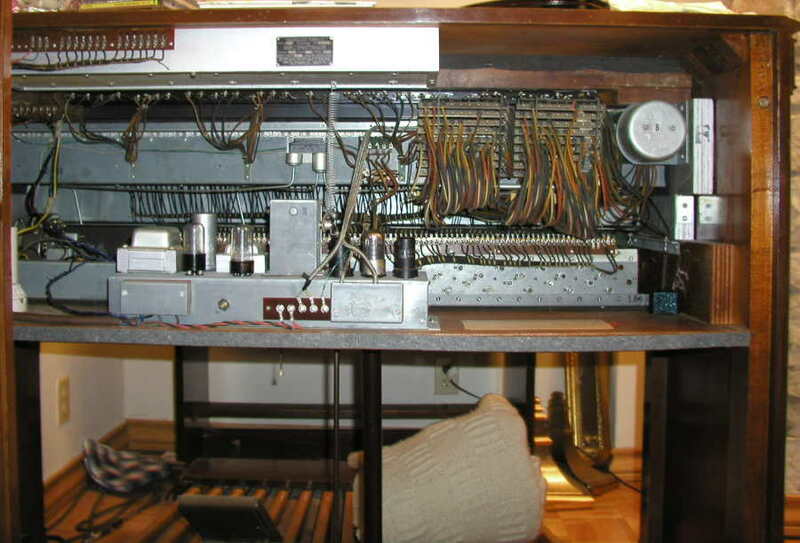 What is amazing is that it all still works! 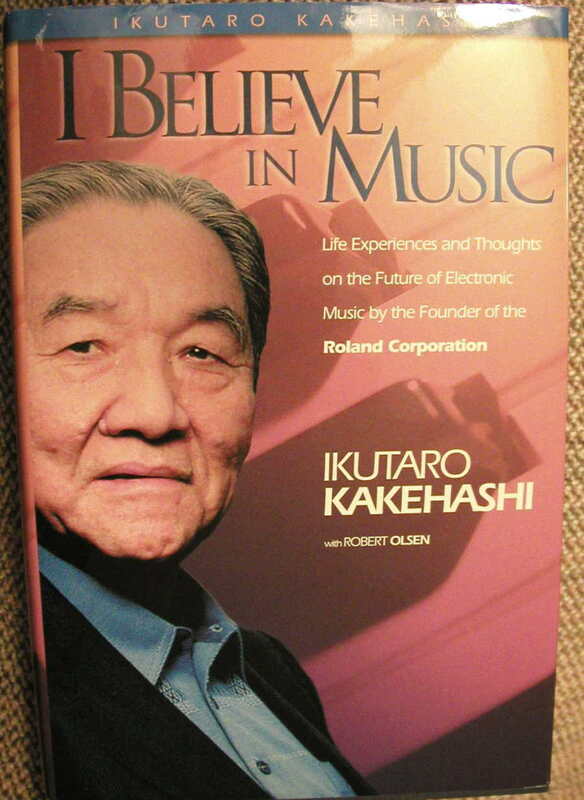 Mr. Kakehashi rekindled my spirits and interests in this organ with his book published in 2002 entitled, "I Believe in Music" (see below). In this wonderful story of his life, I learned that Mr. Kakehashi had tuberculosis and spent more than 3years in a hospital and would have died had it now been for an opportunity to secure streptomycin, the only antibiotic at the time to cure TB. We all have close brushes with diasater, but Mr. Kakehashi's story is one of life and living it to the fullest. To complete the story, I had the absolute unique opportuity last year to visit him and his wife in their home in Hammamatsu, Japan. You will see these photos below and in another link. 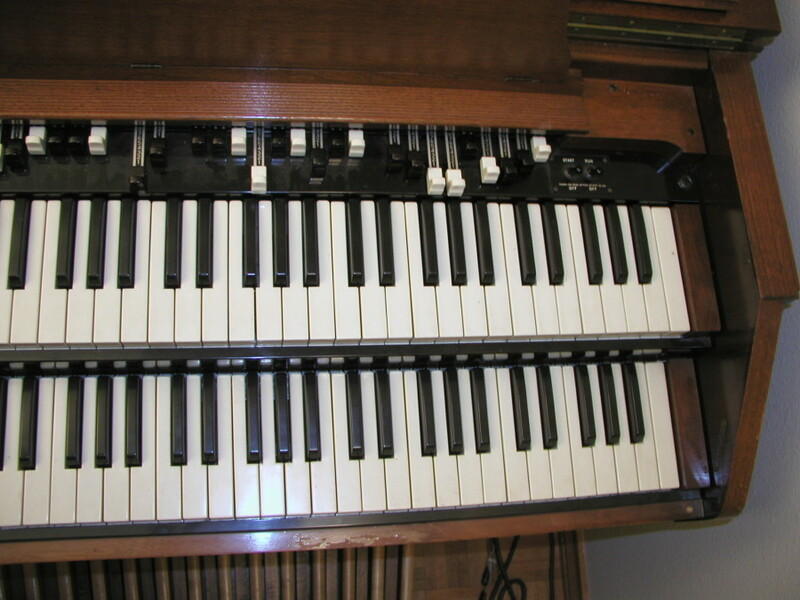 In his home is a Hammond organ! I wonder why? 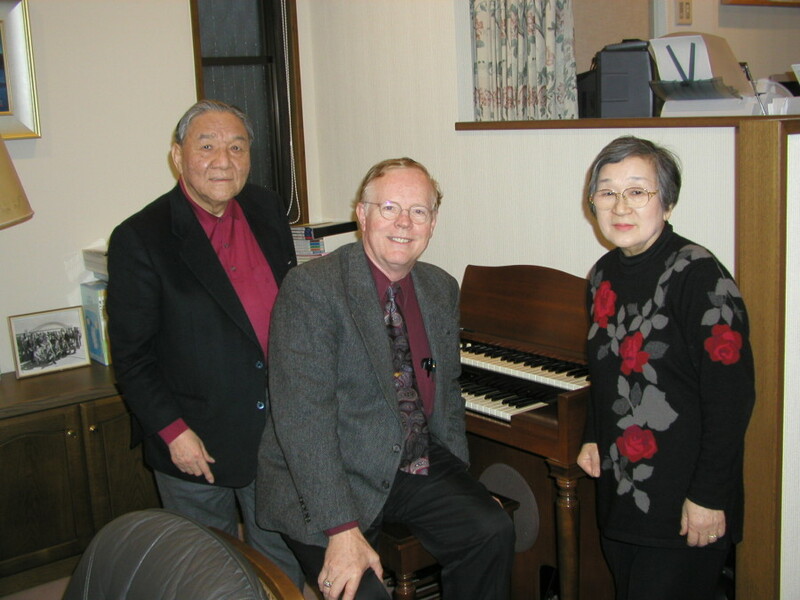 Malcolm with Mr. and Mrs. Kakehashi in their home sitting at their Hammond organ. December, 2001. Back cover of the book. 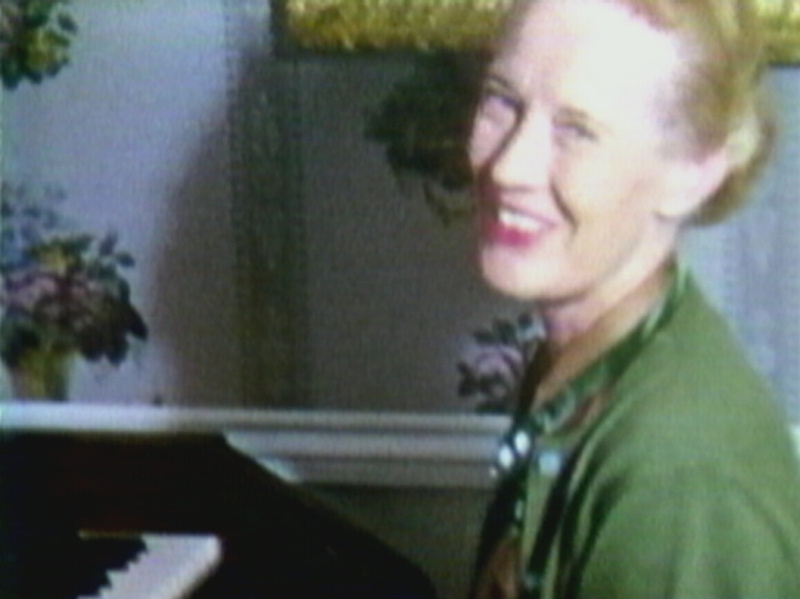 Note that it is published b y Hal-Leonard and the ISBM number is 0-634-03783-8. Absolutely this is required reading! 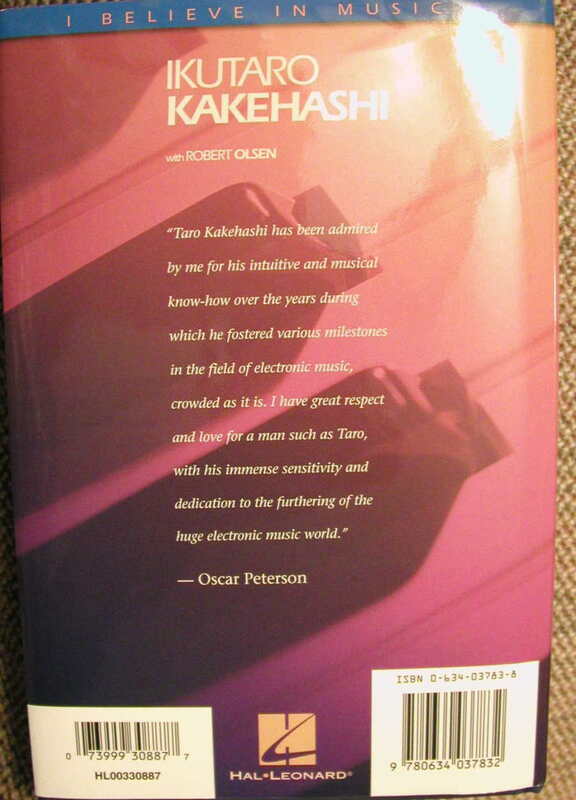 Mr. Kakehashi's signature and gift to me, August, 2002. I am very grateful! Please remember that all photos are copyrighted. Contact me at rmbrown@mail.utexas.edu for permissions.